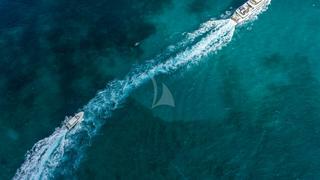 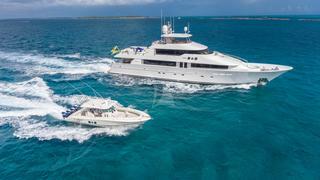 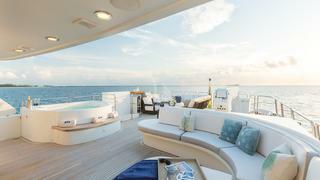 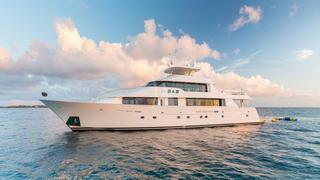 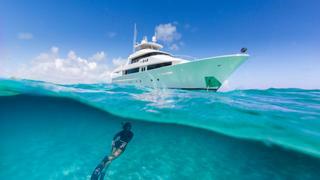 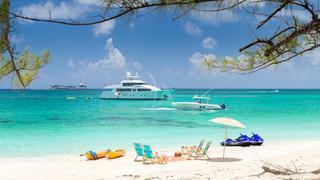 The 130-foot (39.62m) luxury charter yacht THE B&B offers a contemporary profile and refined interior spaces that were designed to offer the very best of the good life at sea. 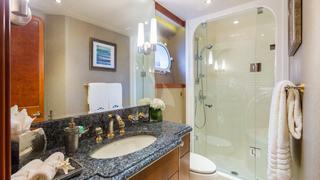 THE B&B offers unsurpassed luxury, comfort and style with a functional, elegant interior that is arranged for privacy, convenience and relaxation. 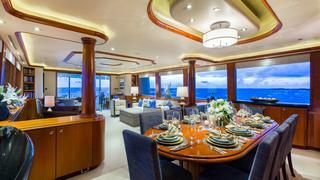 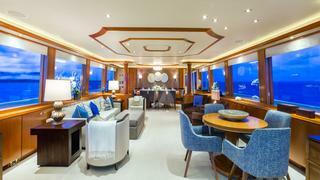 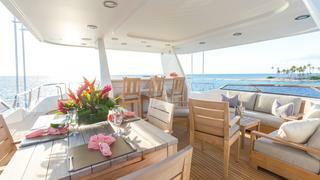 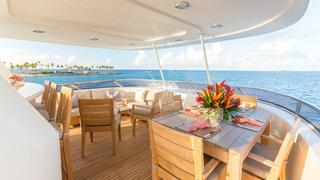 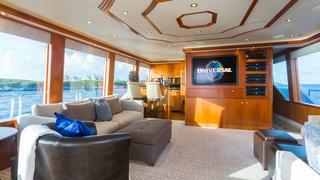 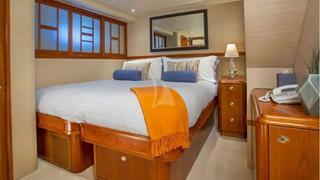 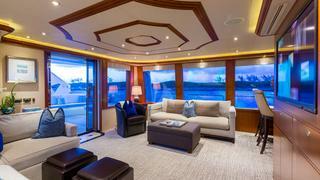 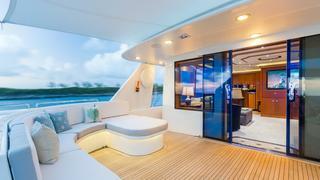 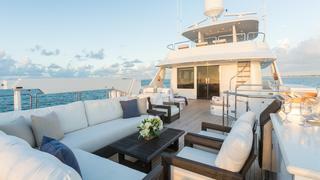 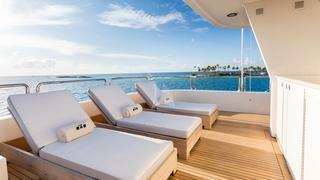 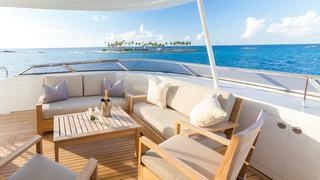 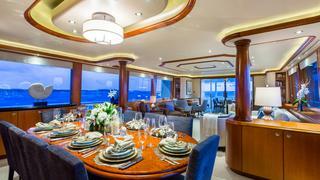 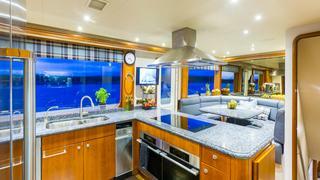 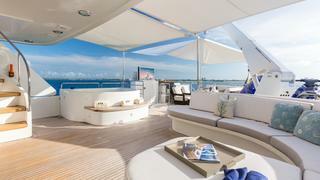 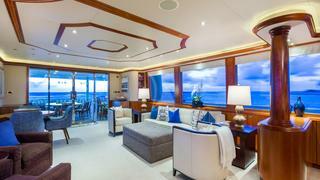 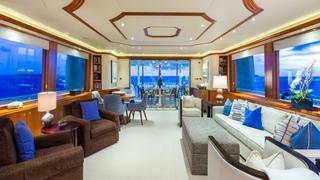 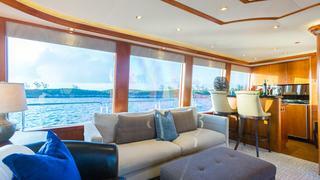 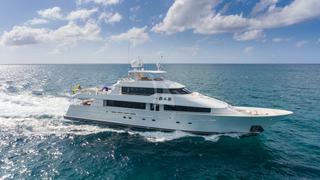 The charter yacht's interior is warm and inviting and features stunning Cherrywood throughout. 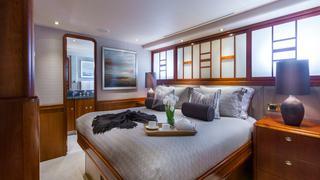 Accommodating up to 10 guests in five tastefully decorated staterooms, THE B&B offers a charter friendly layout that is perfect for families and couples. 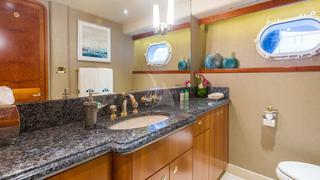 THE B&B’s main deck master stateroom offers a variety of amenities that include, a king-sized bed and en-suite his/her walkthrough bath with whirlpool tub and separate shower with full body sprayers. 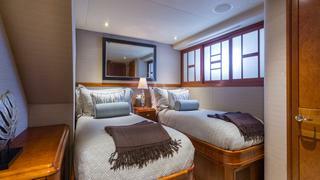 Below deck the well-appointed guest staterooms include, two equal VIP staterooms with king-sized beds and two equal convertible twin staterooms. 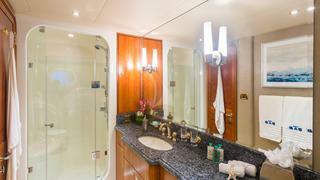 Each stateroom has an en-suite bath and entertainment center featuring a 26” flat screen TV / DVD with surround sound. 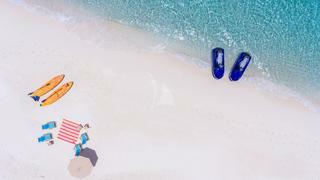 THE B&B offers expansive exterior spaces that provide guests options for soaking in the sun, alfresco dining, and relaxation. 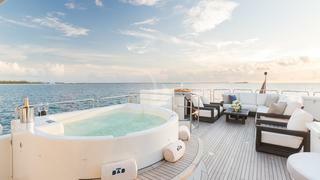 On the sundeck the luxury charter yacht has a relaxing Jacuzzi where guests can sip a delectable cocktail and take in the views. 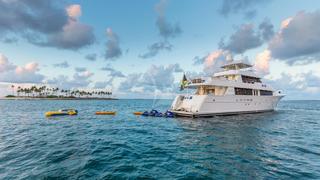 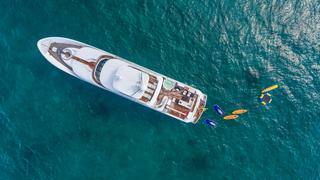 Offering a plethora of water toys including, wave runners, stand up paddle boards, water skis and an inflatable trampoline, THE B&B is the ultimate charter yacht for fun in the sun. 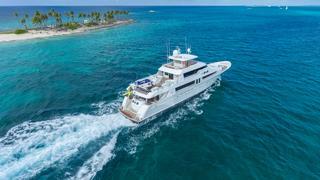 THE B&B also has a 2017 42-foot (13m) HydraSport towed tender that can take guests exploring their destination or offshore fishing.